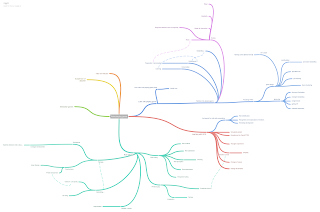 I created a mind map on role-playing with the partially free online service Coggle.it. There is a lot of online services like this. The free licence of Coggle.it allows to create a map, export it in PDF and in PNG and share it online. Mind maps are quite popular pedagogical tools in the universities. They help memorize, organize and spacialize notes and ideas. I am dreaming of a tool combining this spacializing function with advanced bibliographic functions like the ones in Zotero.